India won this match in 3rd over of 5th day 1st session when Rawichandran Aswin got last wicket of England. 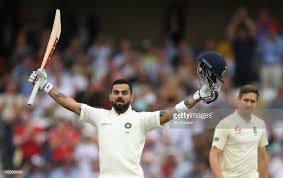 India started the inning from 124/2 on 3rd in Eng vs Ind 3rd test match, Captain Virat Kohli again played a great inning of 103 runs and achieved the score of India 352/7. England's players started very well and Jos Buttler got a century but due to the 2nd best performance by Jasprit Bumrah in test match 5/81, could score 311/9 at the end of the 4th-day match. So at this moment, India need only one wicket to win this match. Hi Friends, I am Gyan Ranjan and you are on this blog post to know live cricket score of Eng vs Ind 3rd test Day 3-4 match. I promise to give you the best experience in this blog post. India started the inning on 3rd day from 124/2. Virat Kohli again played an amazing inning of 103 runs in which he smashed 10 4s, Cheteshwar Pujara also gave the support with valuable 72 runs. Hardik Pandya played blasting inning 52 of 52 with 7 4s and 1 6s. Indian captain Virat Kohli decided to declare when the score was 352/7. Adil Rashid 3, Stocks 2, Anderson and Woakes got the 1-1 wickets. England's Player stared very well and did a long partnership for 5th wicket. Jos Buttler 106 and Stocks 62, played an amazing inning for England. Jasprit Bumrah did great bowling 5/81. England could score only 311/9 at the end of the 4th-day match.